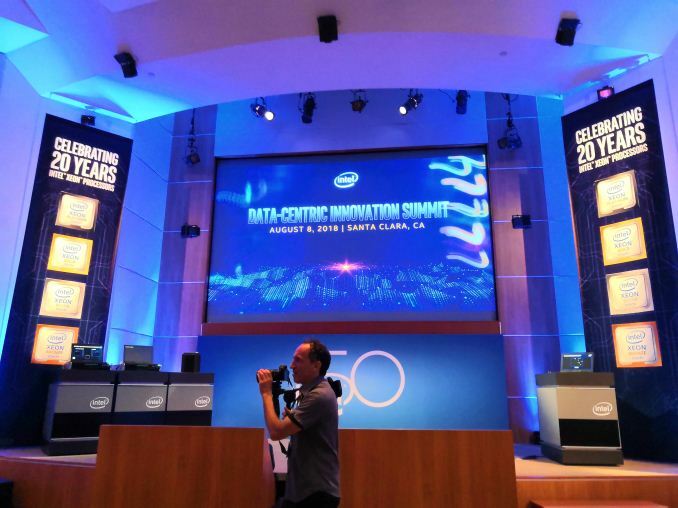 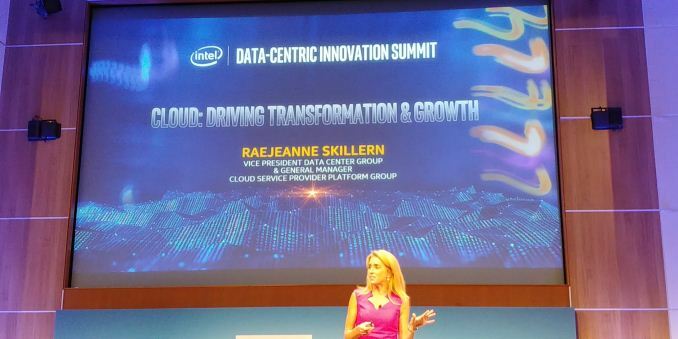 11:44AM EDT - We're live here at Intel HQ in Santa Clara for the company's 2018 Datacenter Summit. 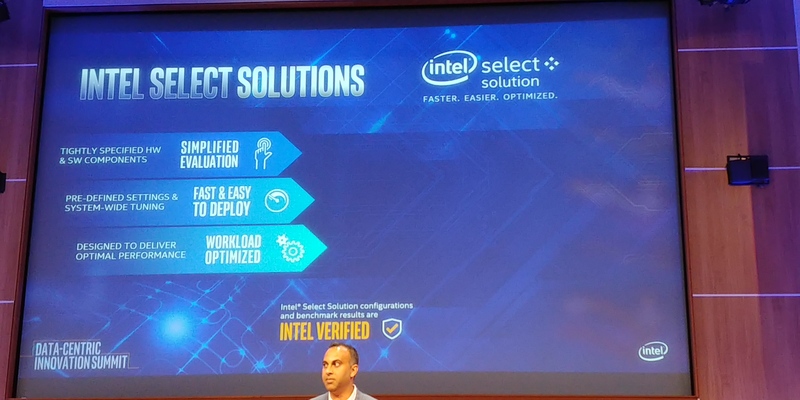 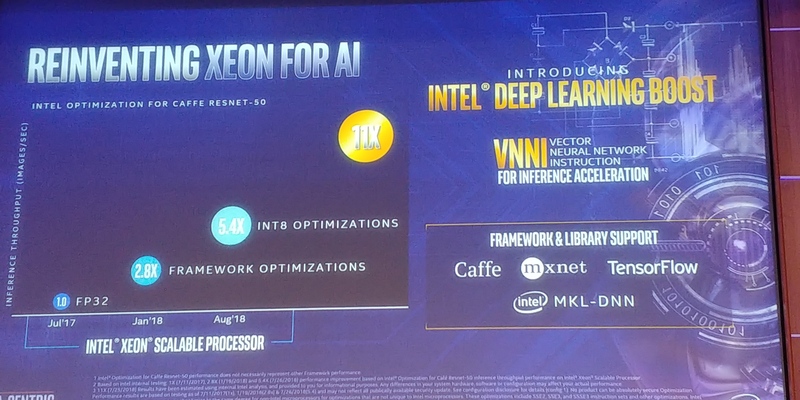 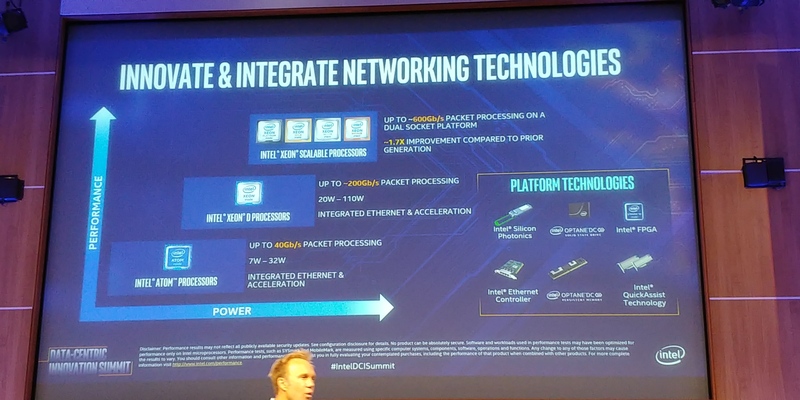 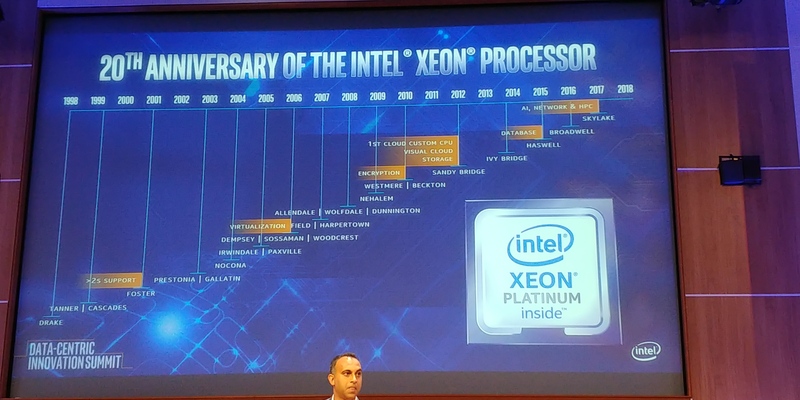 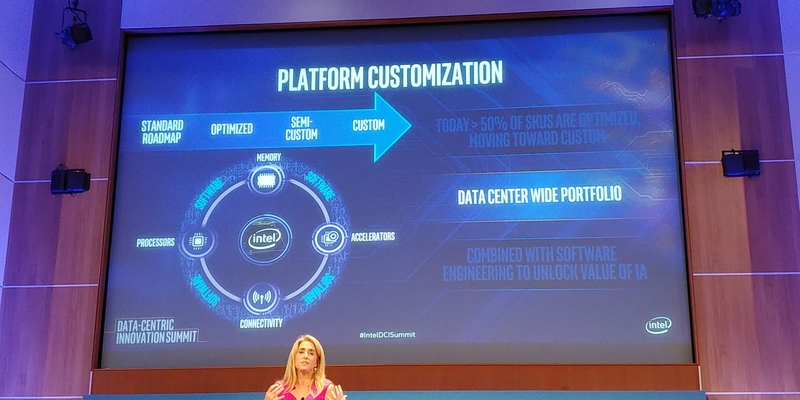 The most lucrative part of Intel's business, the company is looking to pivot entirely from being PC-centric to what the company calls "Data-cetric", meaning an even greater focus on server (Xeon) processors, as well as things like non-volatile memory, compute accelerators, and FPGAs. 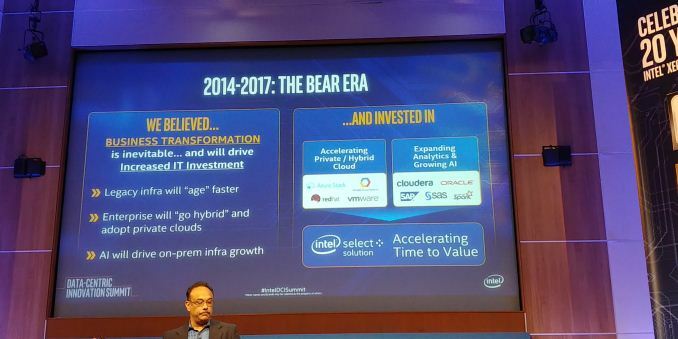 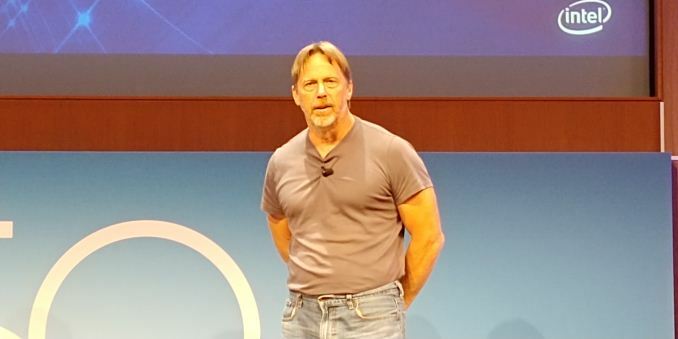 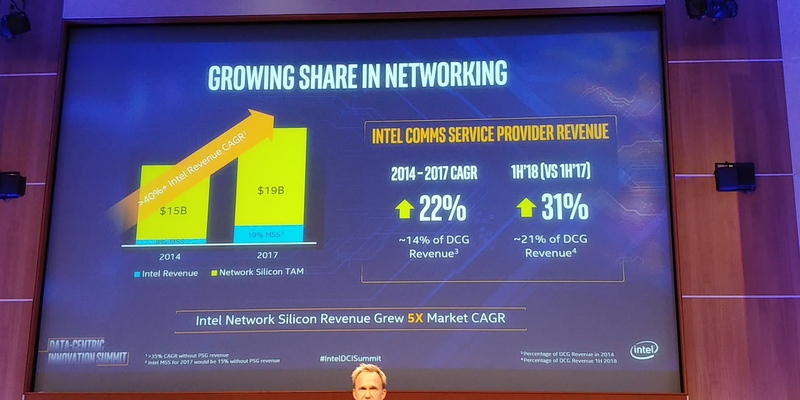 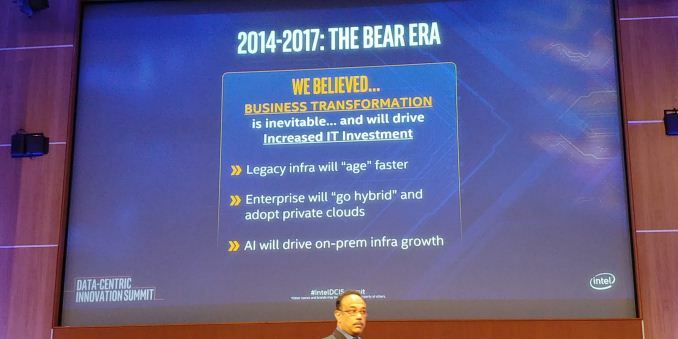 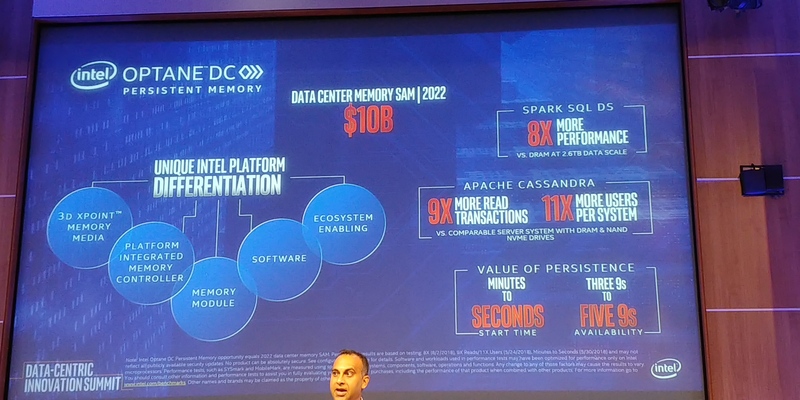 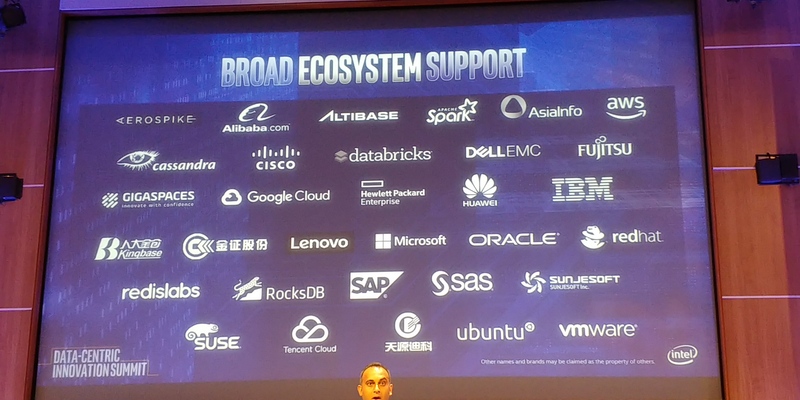 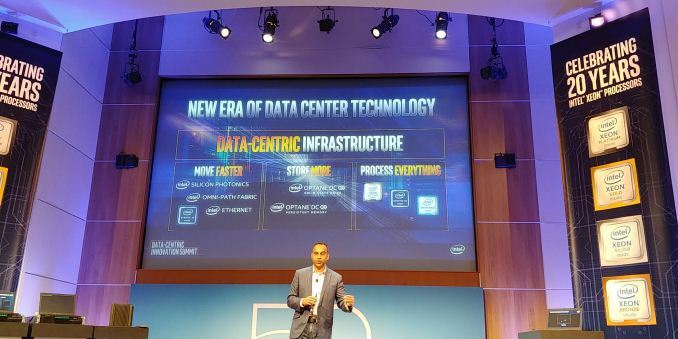 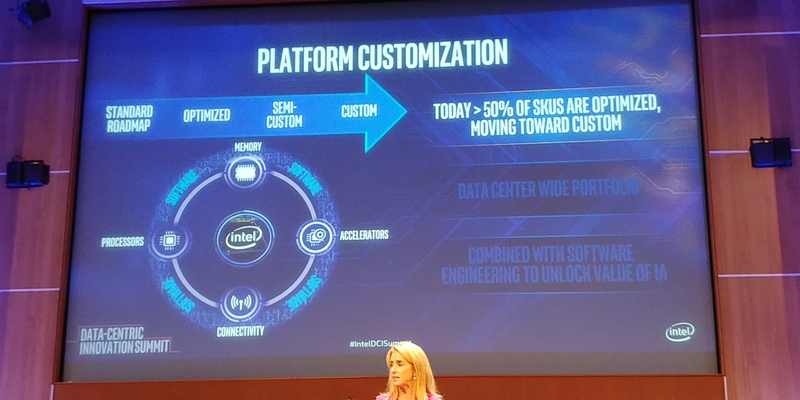 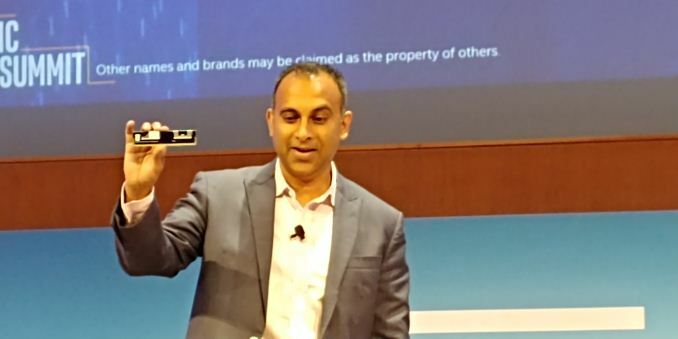 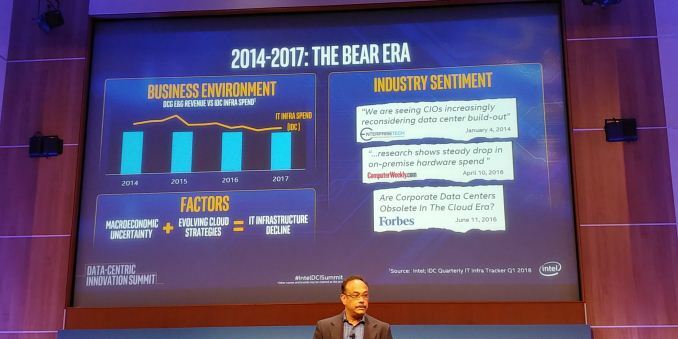 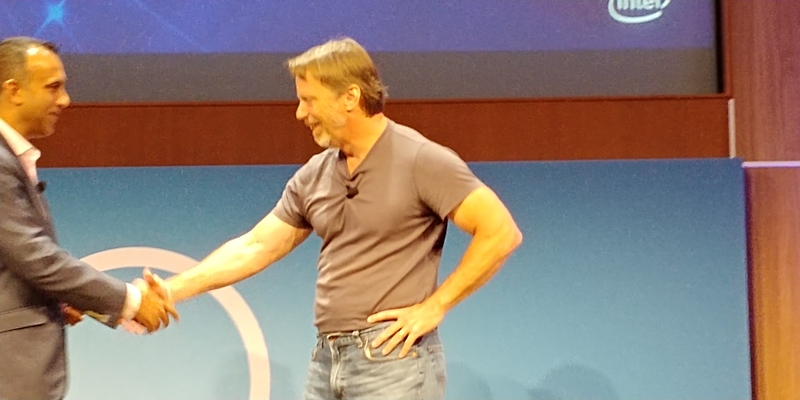 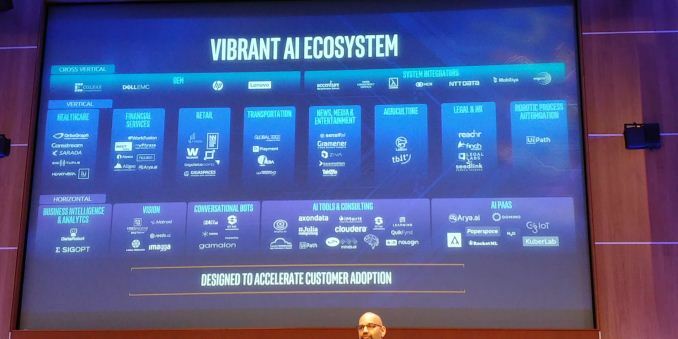 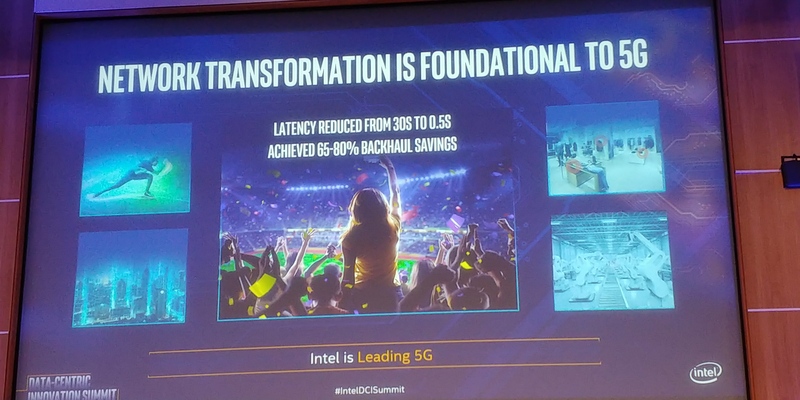 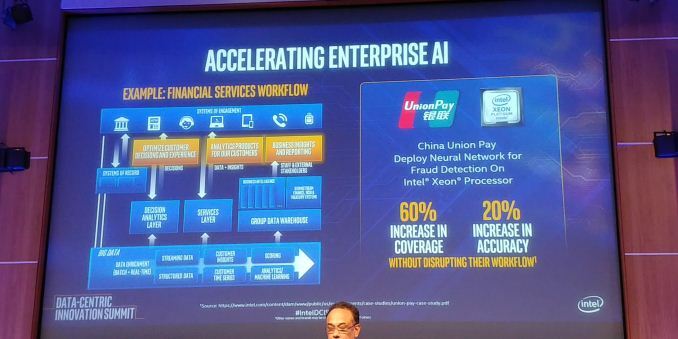 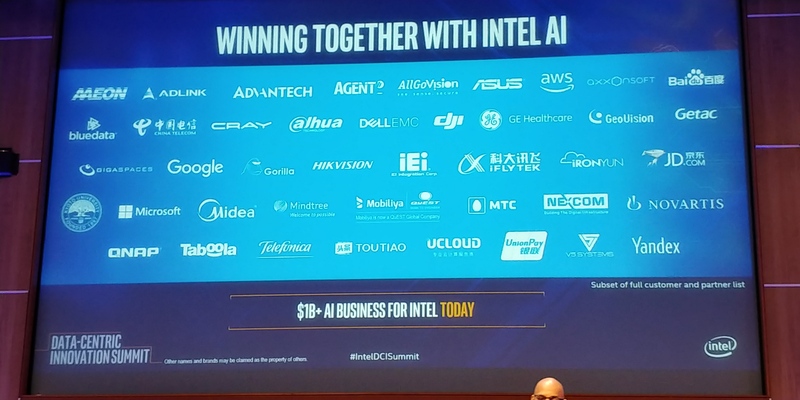 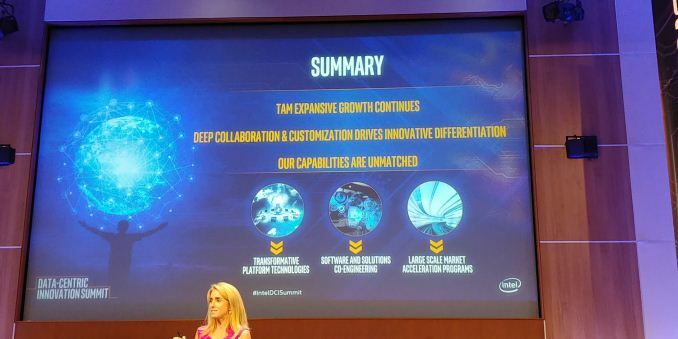 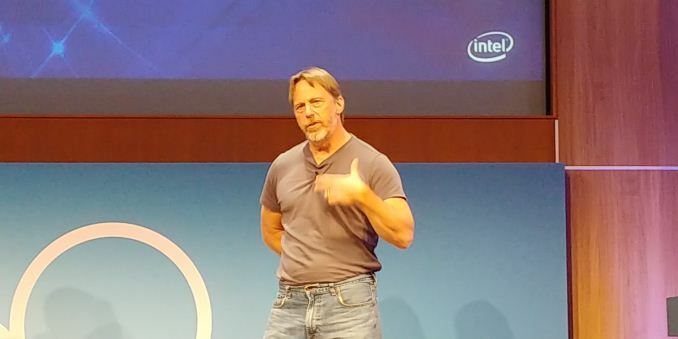 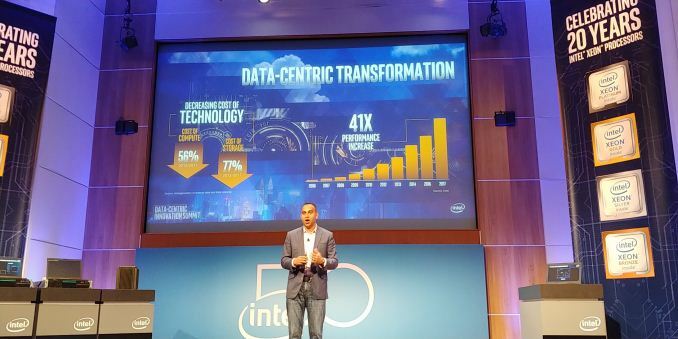 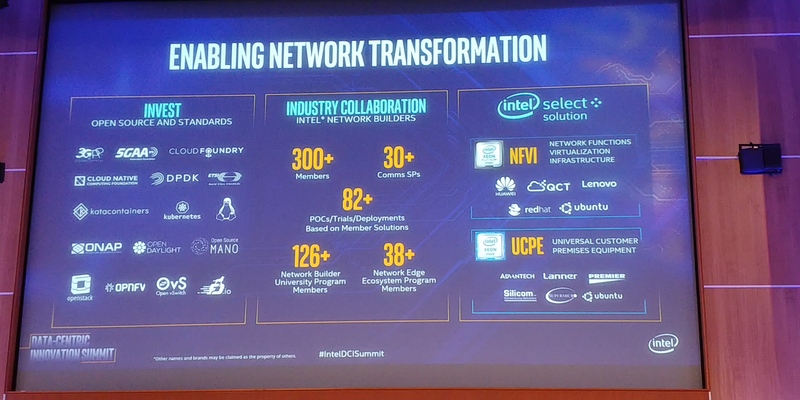 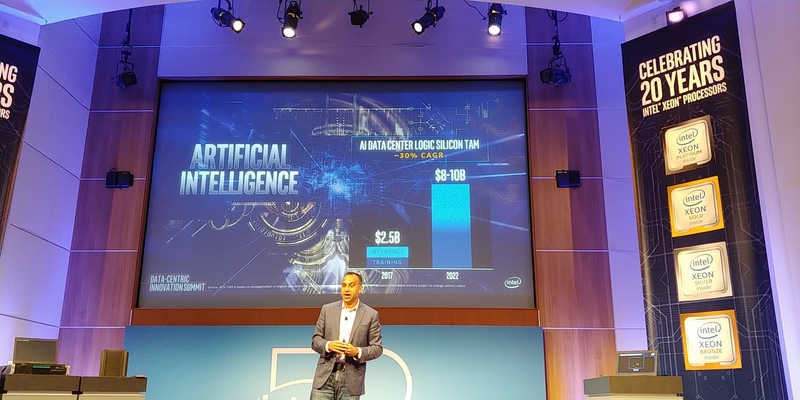 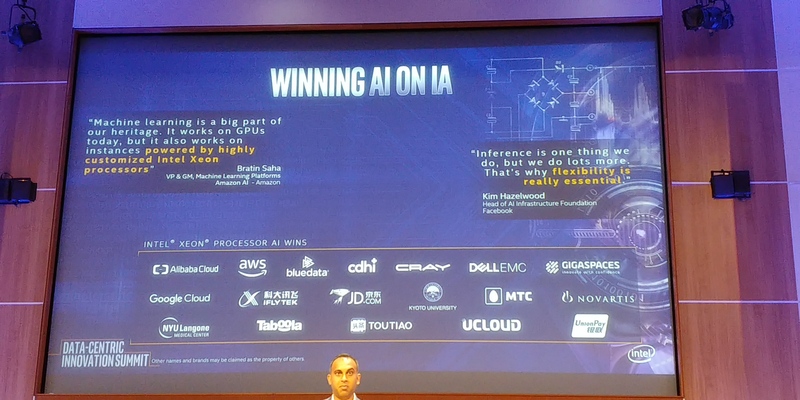 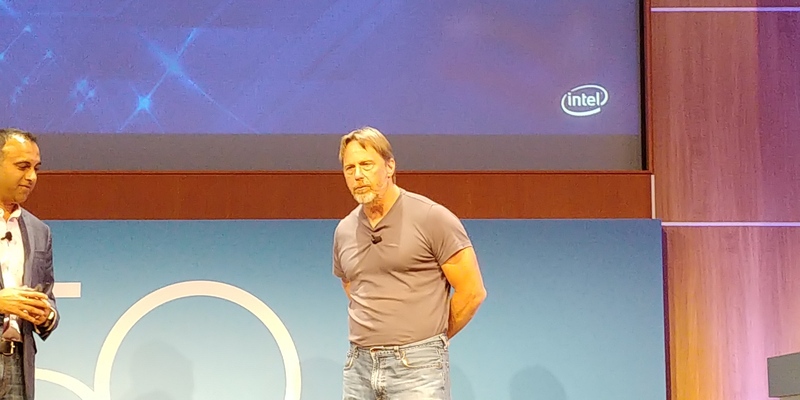 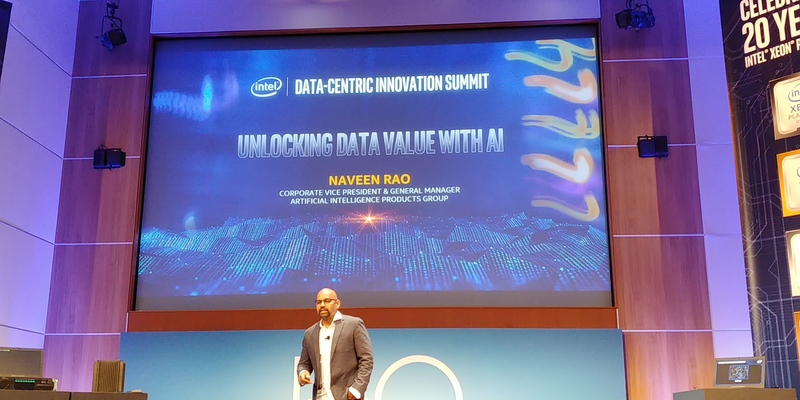 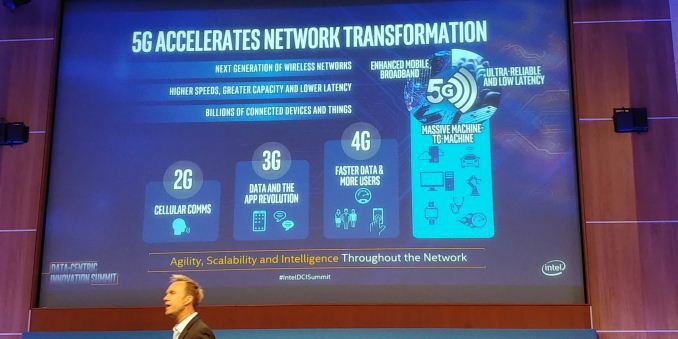 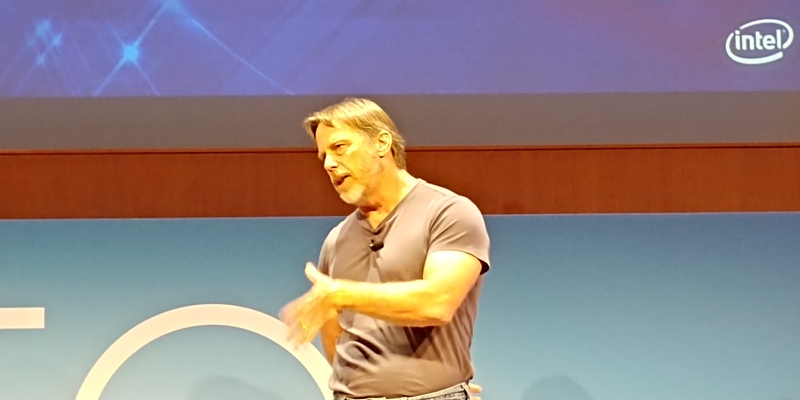 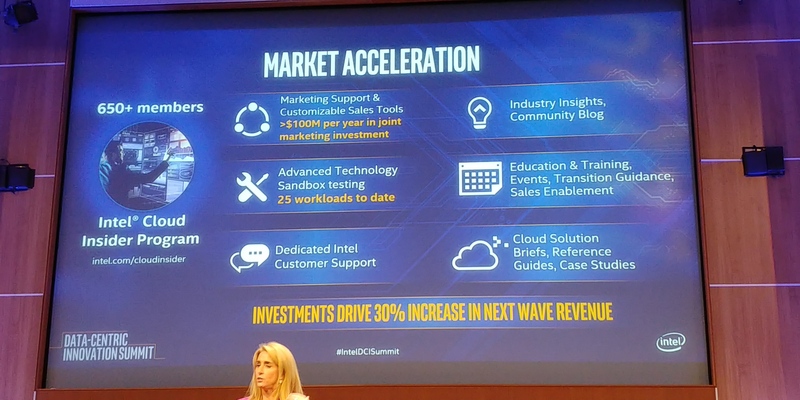 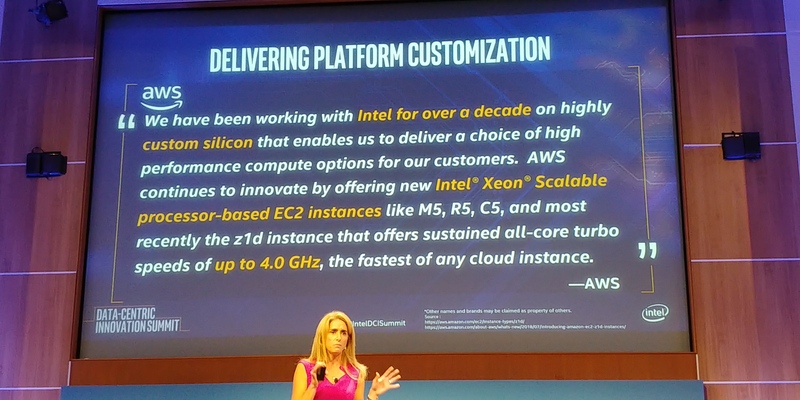 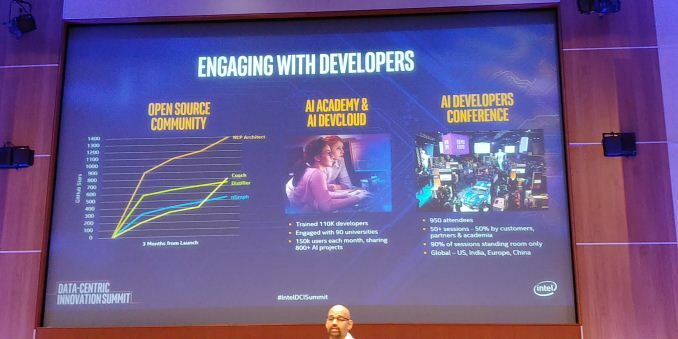 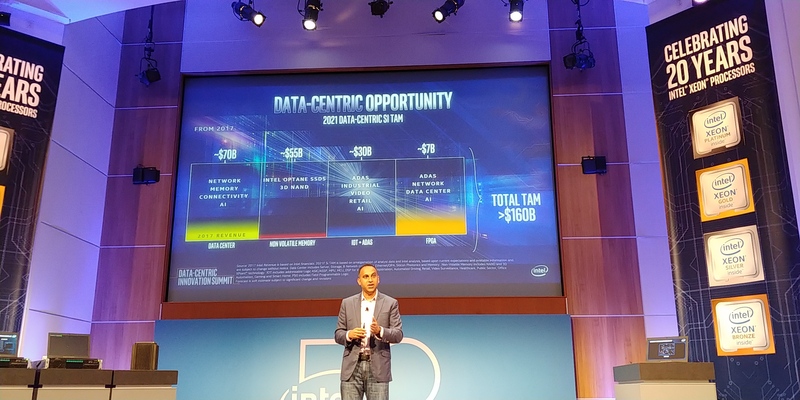 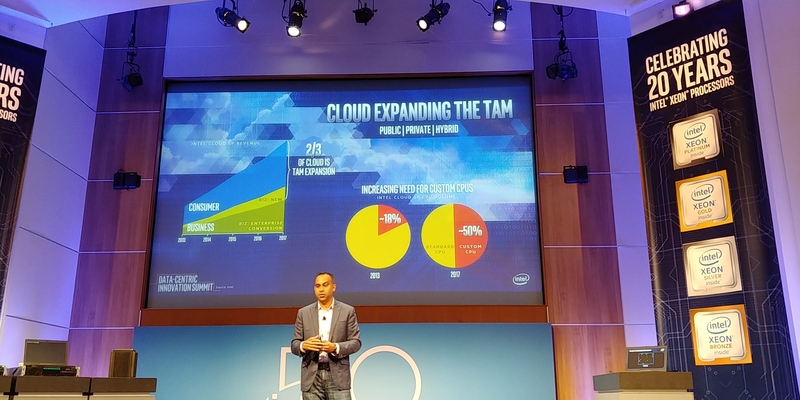 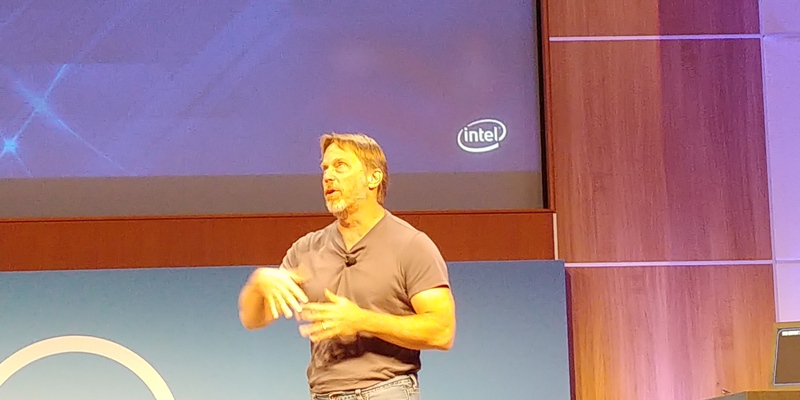 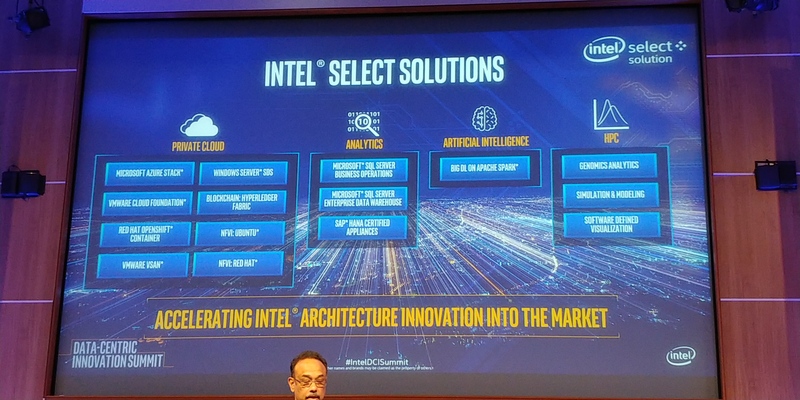 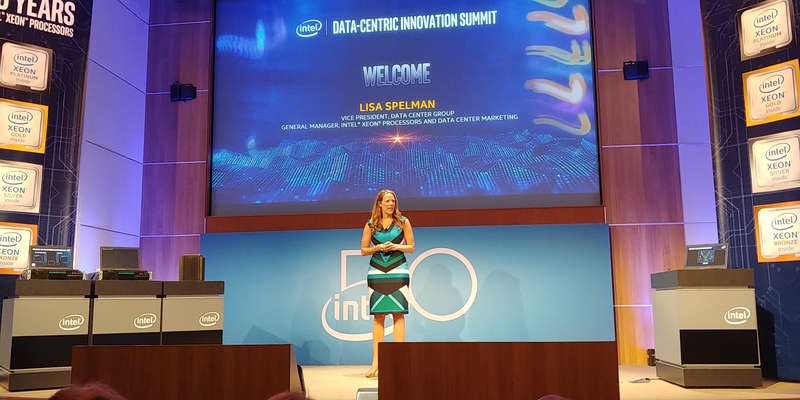 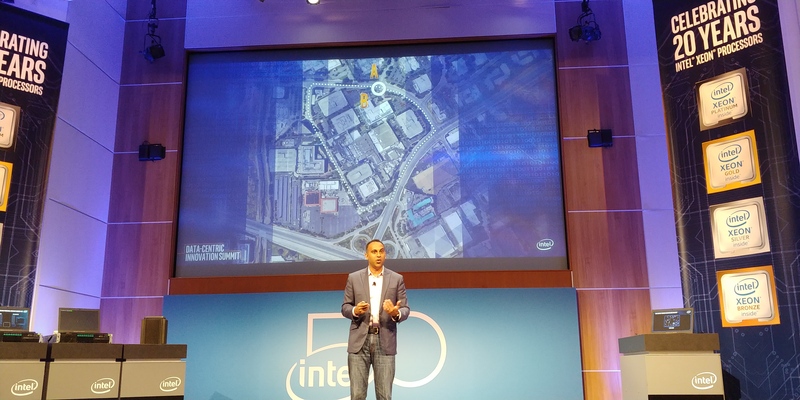 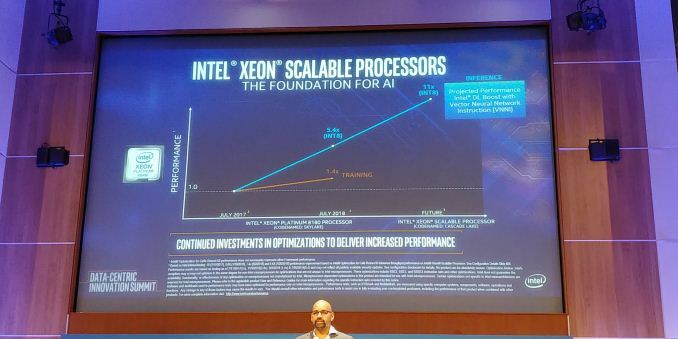 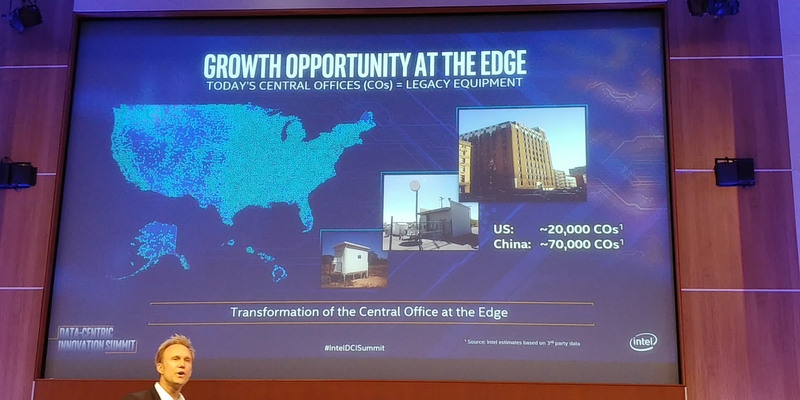 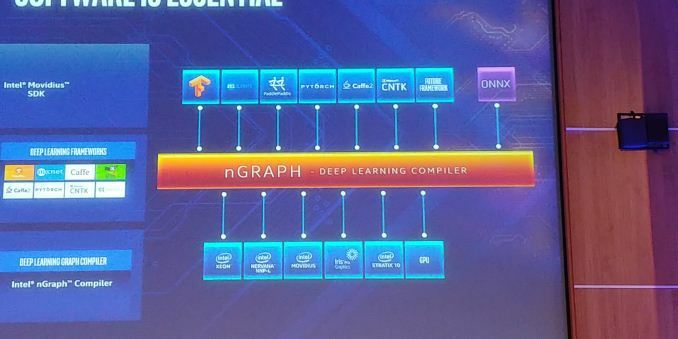 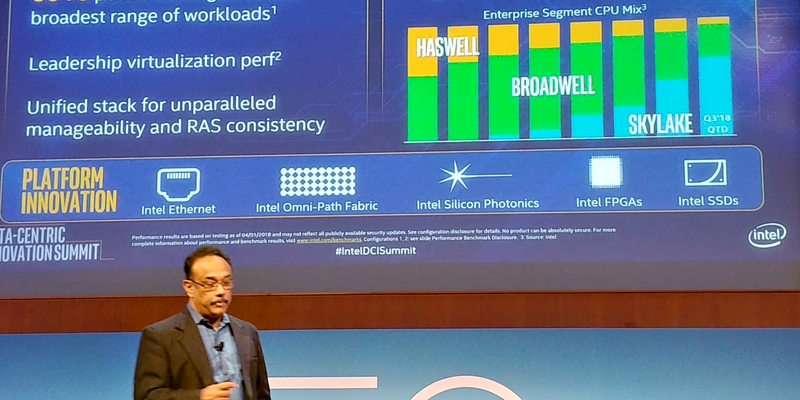 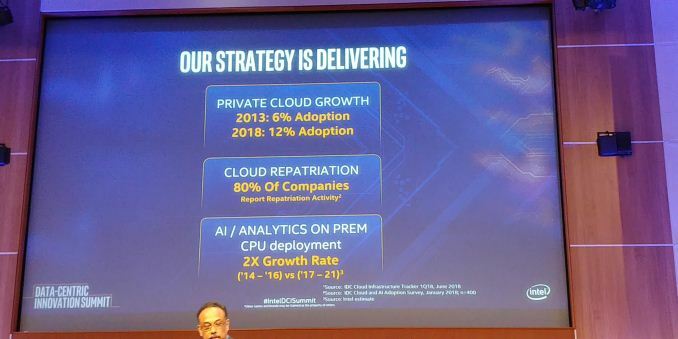 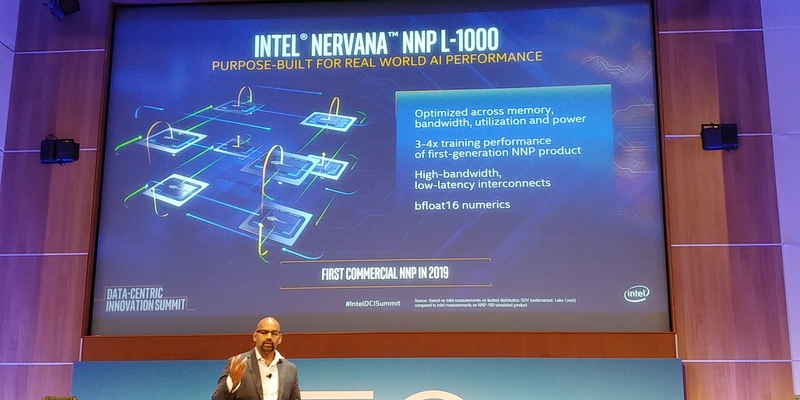 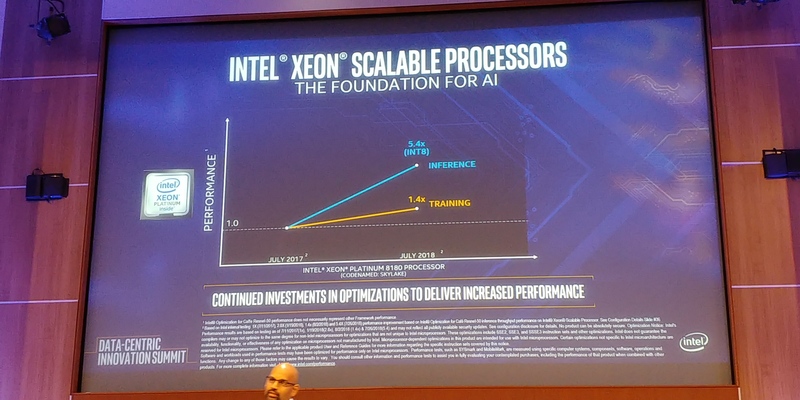 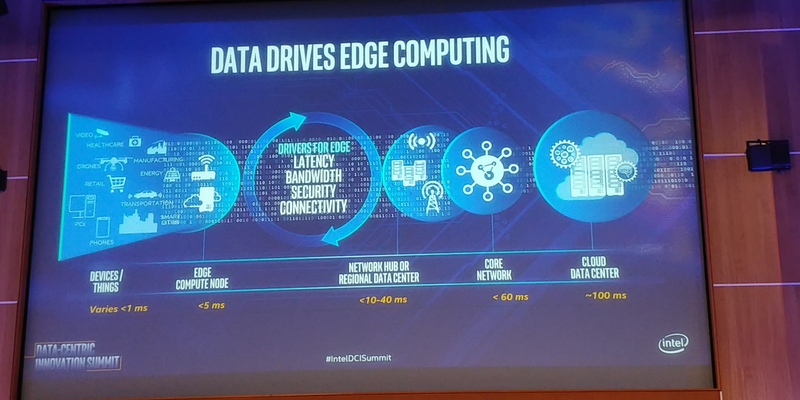 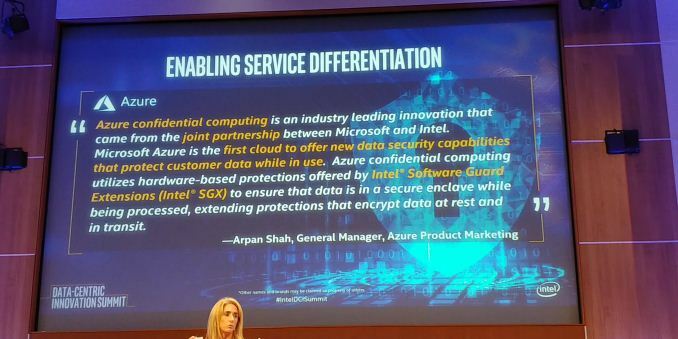 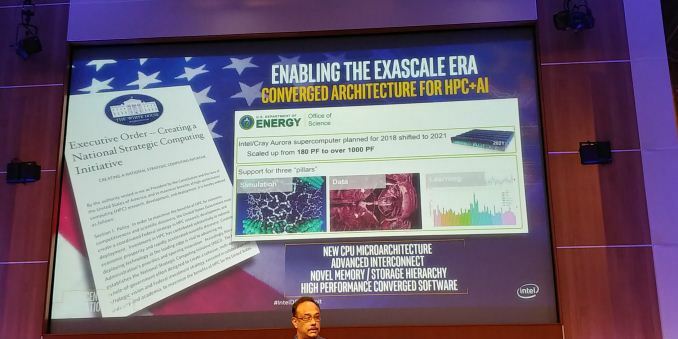 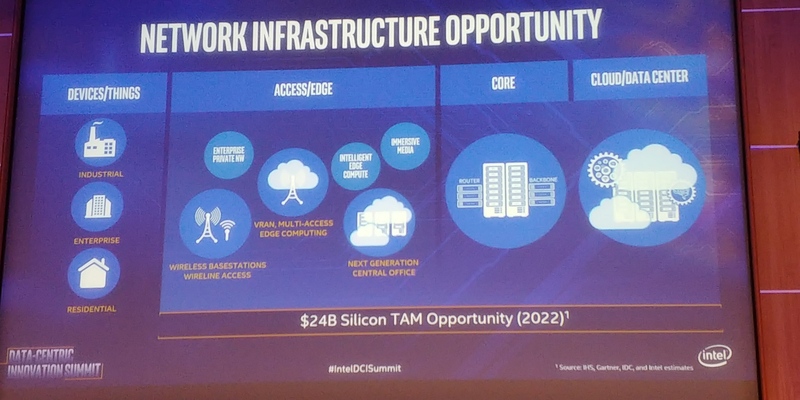 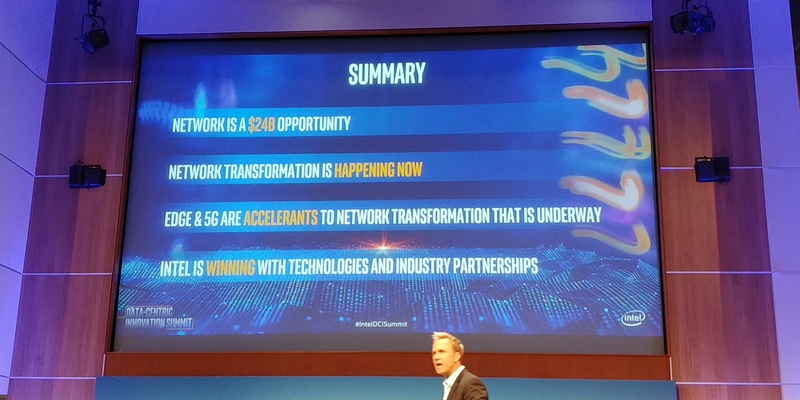 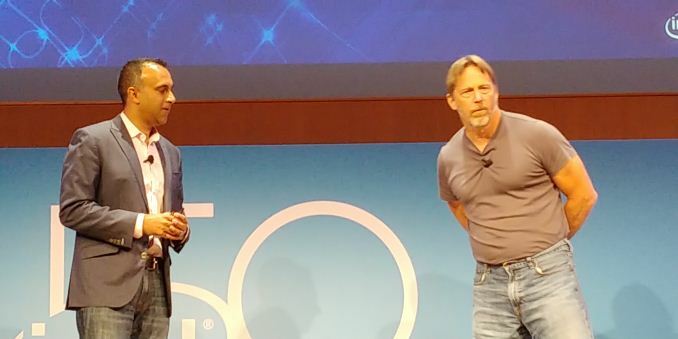 This event, in turn, serves two purposes for Intel: reassure investors that Intel is on the right track for continued growth, and to outline the technologies and products that will get them there. 11:58AM EDT - OK, Koduri has been spotted. 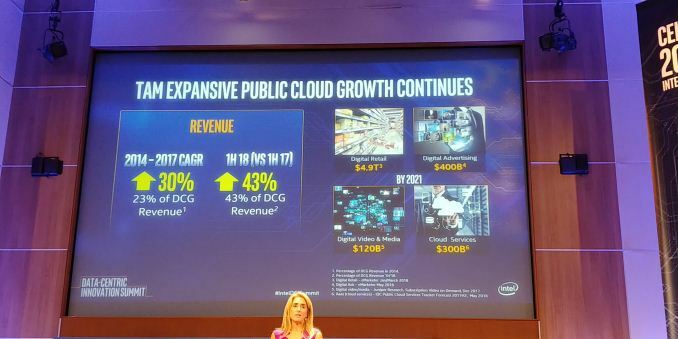 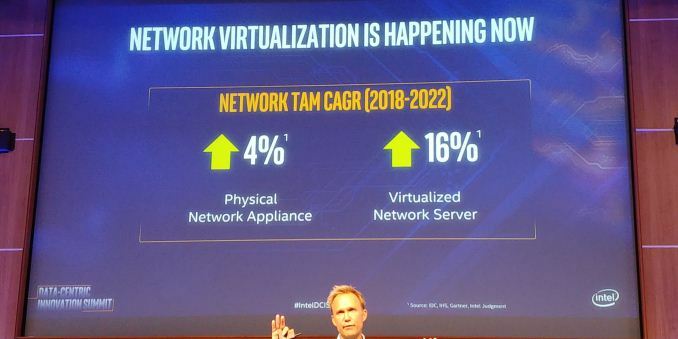 02:21PM EDT - Would everyone move to public cloud? 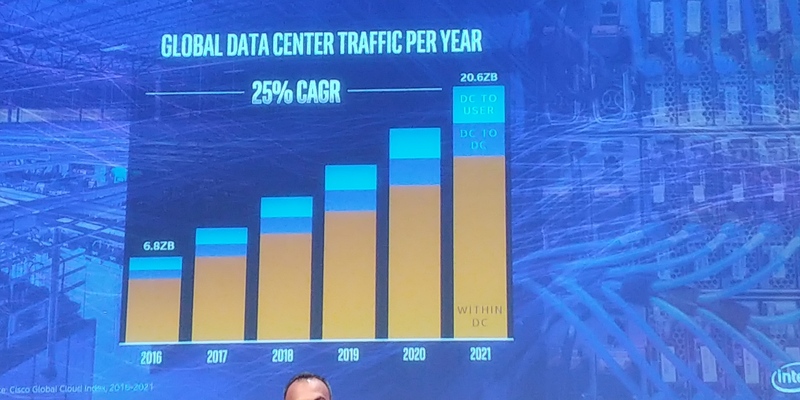 02:21PM EDT - Would corporate datacenters be obsolete? 03:22PM EDT - A: I don't talk to customers about nanometers. 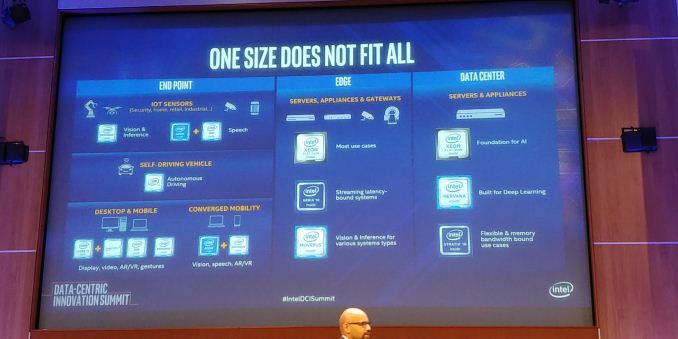 They care about delivered performance. 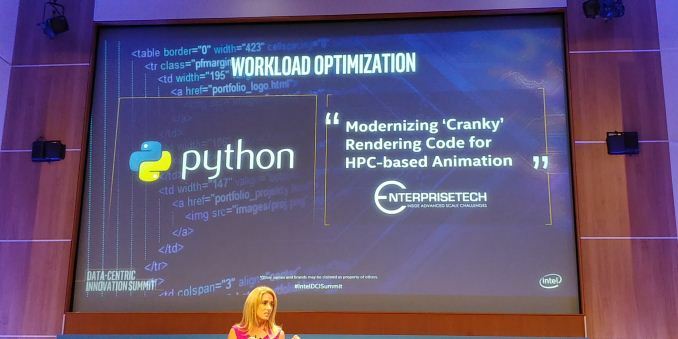 The need to optimize comes from various factors. 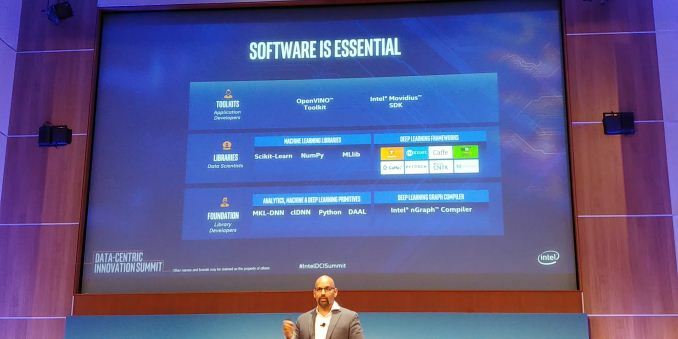 Software investment, broadening the portfolio, microarchitectural optimization. Been working through roadmaps with customers: delivering improvements through hardware or software or optimized strategy. For competitive intensity, we expected 2018 to be competitive. 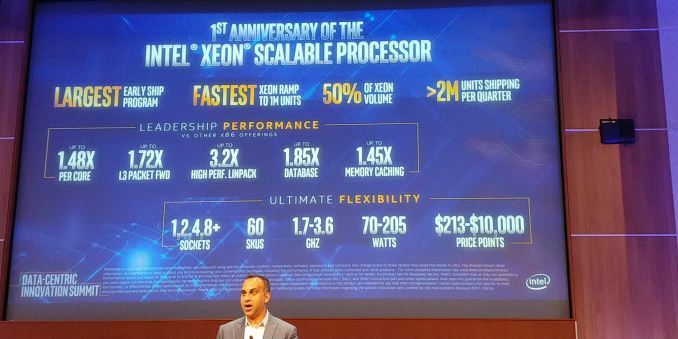 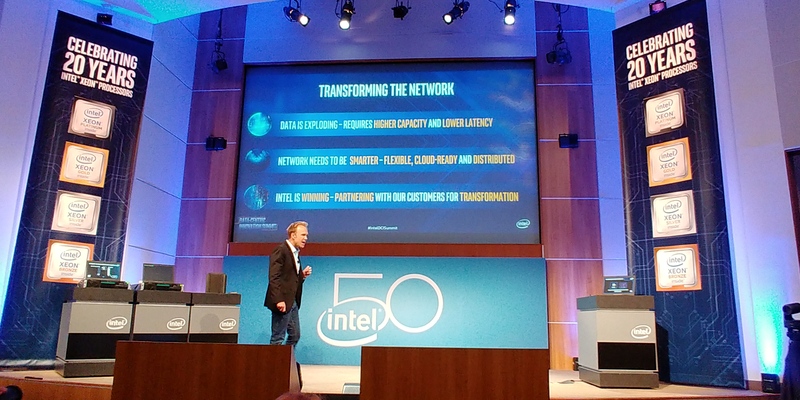 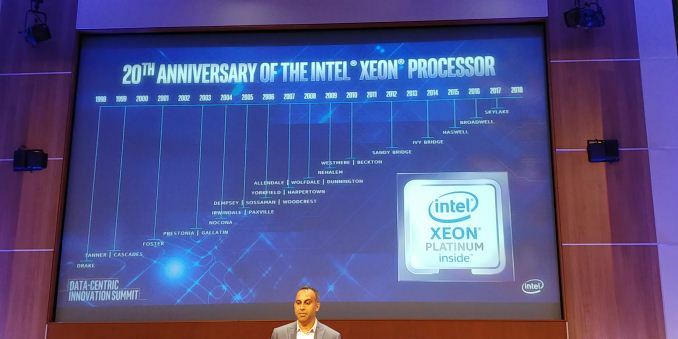 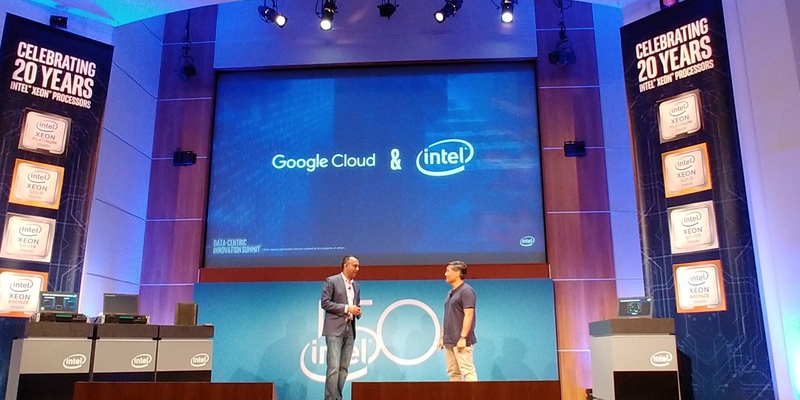 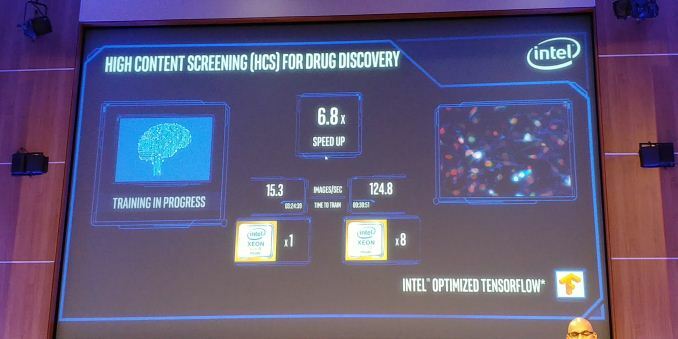 Intel has done a very admirable job and outperformed expectations. 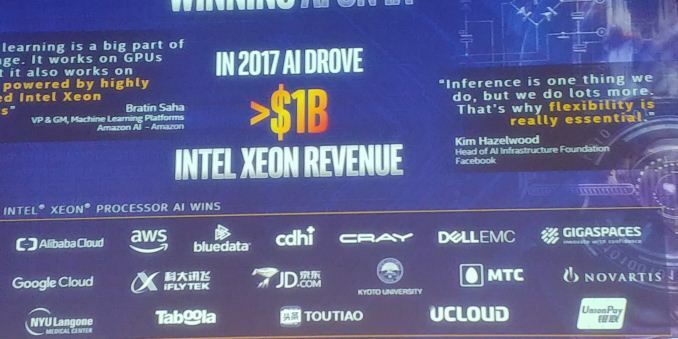 That's a function of the TAM environment being good, the product put forward and scope, and function of expantion into new domains like AI. We're not scared by competition. Out roadmap gives us confidence. 03:29PM EDT - A: Today, the TAM we're going after is much larger. we see the opportunity more about just microprocessors. 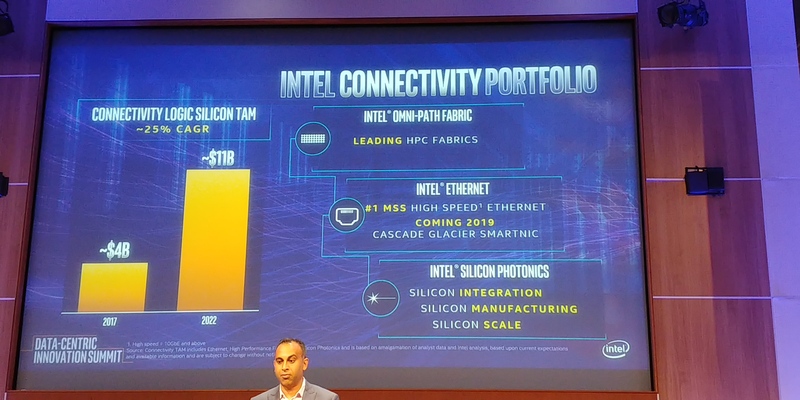 It's important to recognize our investments in our portfolio about addressing customers about more than just microprocessors. Optane, FPGA, ASICs etc. 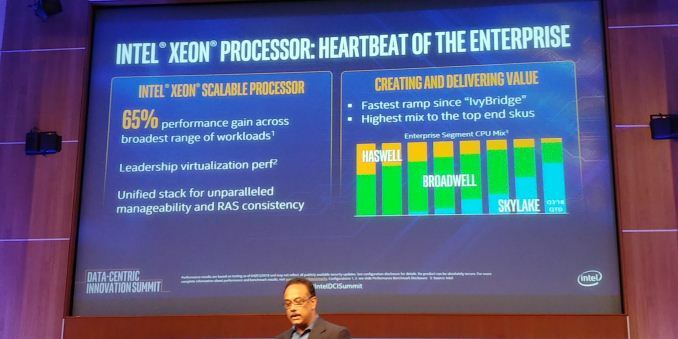 It's a breadth of a portfolio to deliver higher levels of perf is a big time difference between 5 years ago and now. 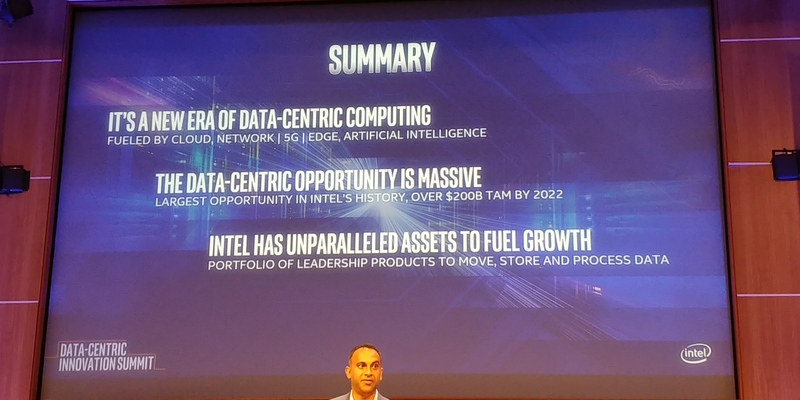 Competitive intensity, we are already paranoid about anybody out in the market at all times. We don't think intensity increases, we're always wary about what's in the market. 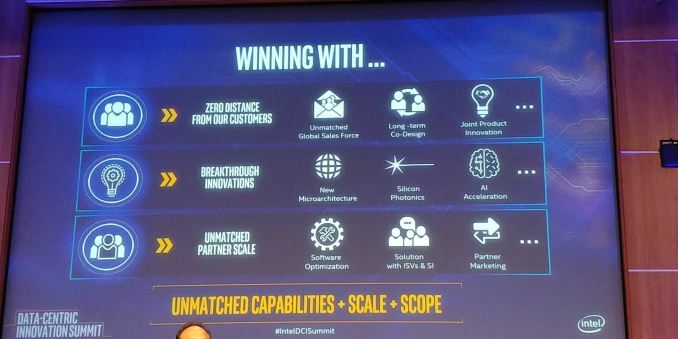 We look about markets and competitors in each market. 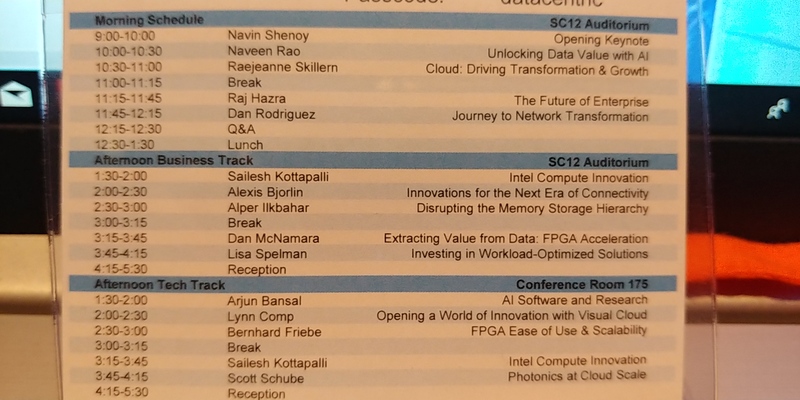 03:32PM EDT - A: We'll discuss FPGAs in the afternoon. 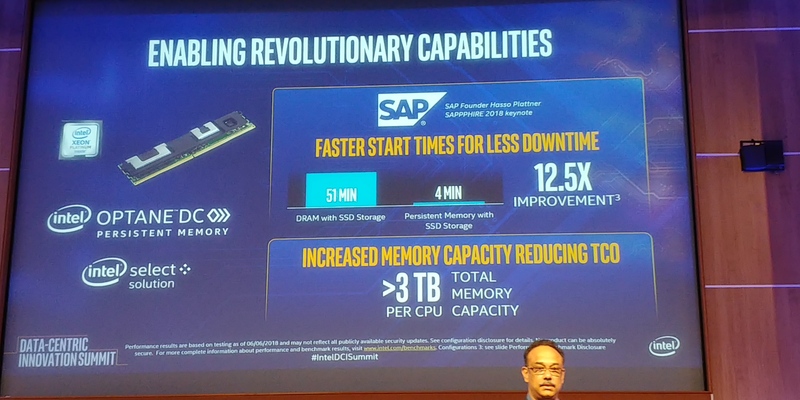 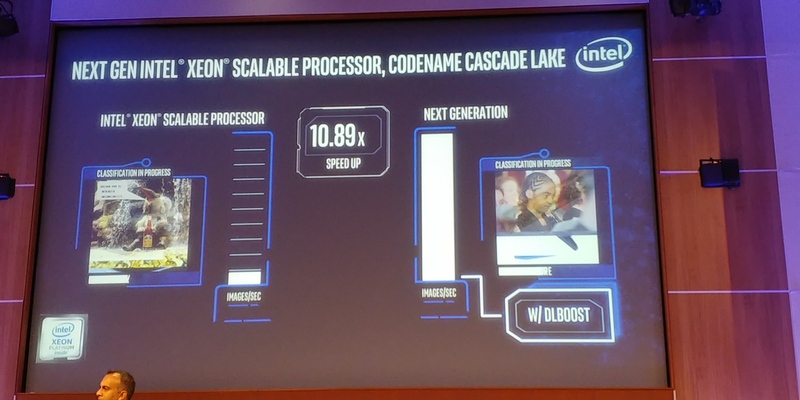 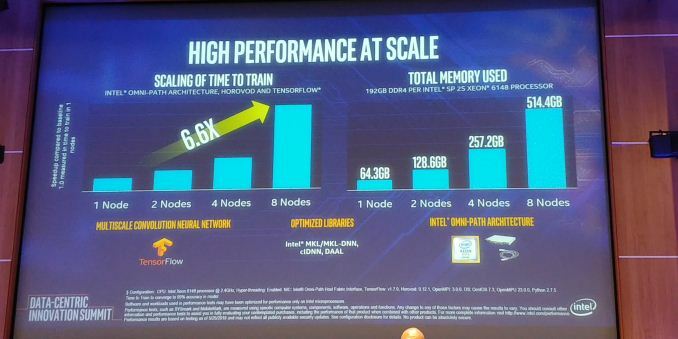 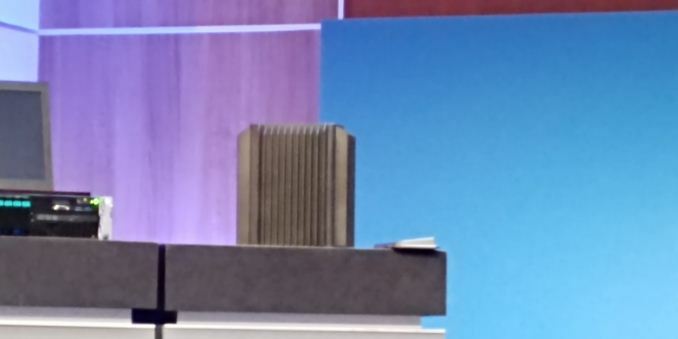 For optane, the TAM is huge. 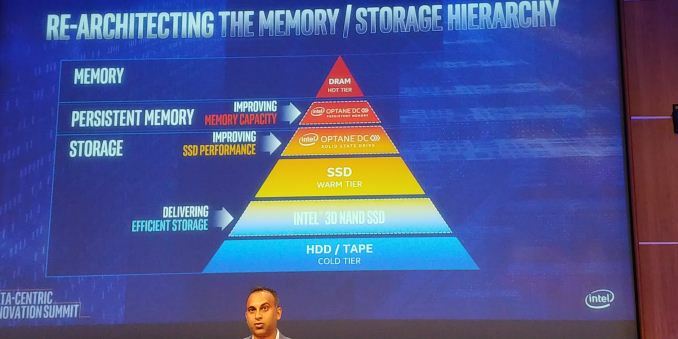 The SSD storage of optane is reported in our DSG segment. That business is ramping and will drive superior gross margins over NAND. 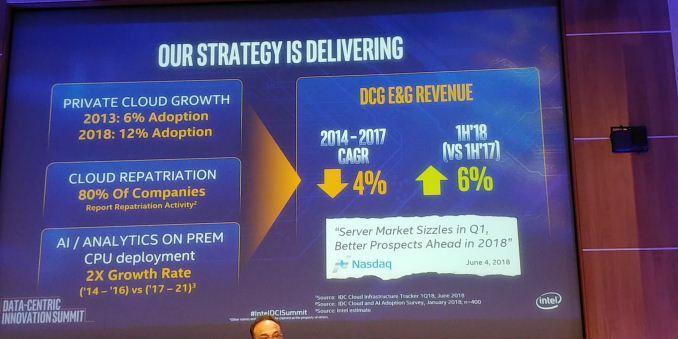 The DIMMs business is new, it's a $10B market as a subset of DRAM market - we'll talk about it more as we ramp. We have $0 now as it shipped yesterday, we have a high degree of interest from customers to make it a large scale business. 03:33PM EDT - A: About FPGAs. 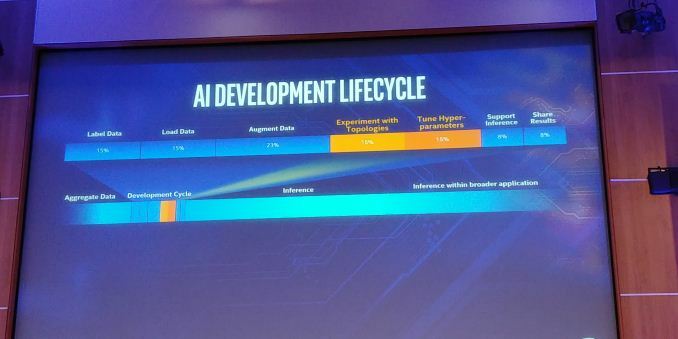 It's not jsut an NVIDIA story. 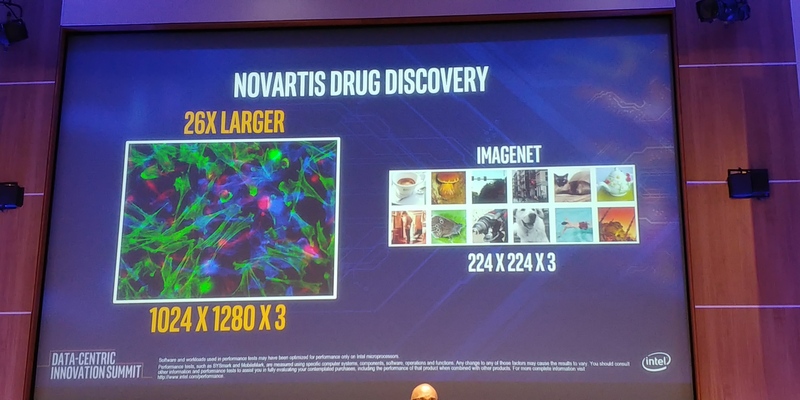 They're used for a lot of difference places. 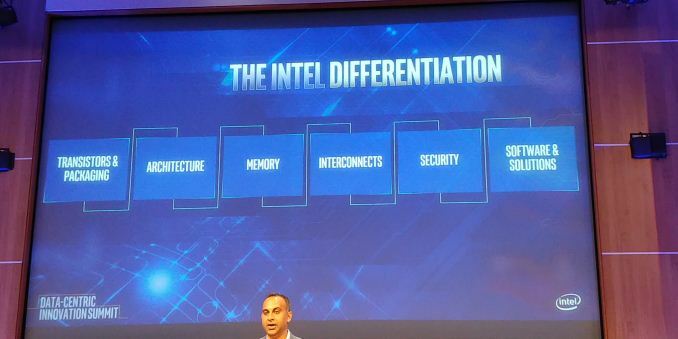 It's about inference more than training. 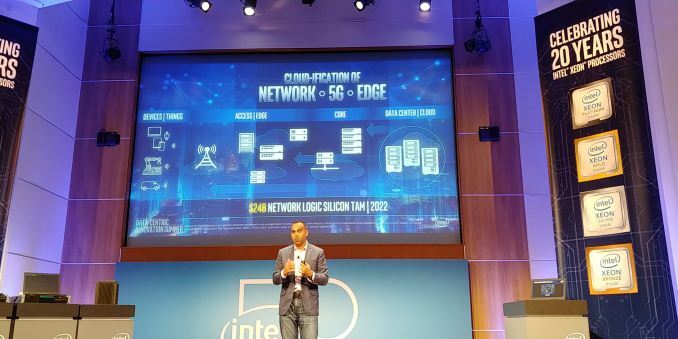 We'll talk about low latency, efficiency, and ability to react to new topologies. 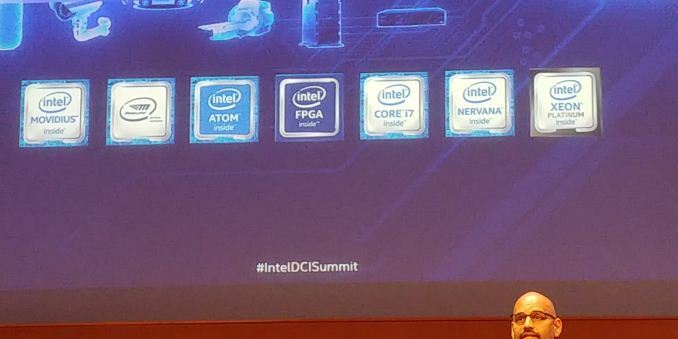 We'll discuss MS Brainwave on Intel FPGAs. 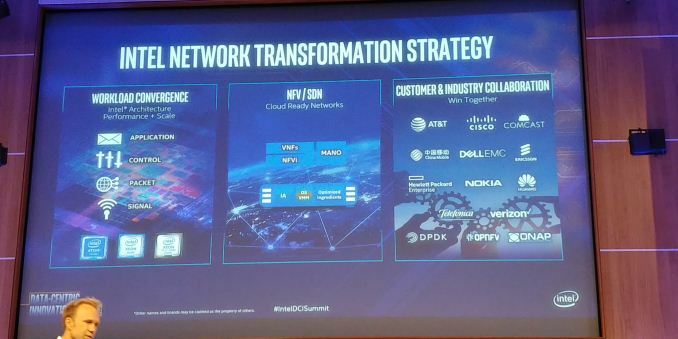 Also infrastructure about datacenter. We've grown a lot on the DC already and we expect it to continue. It's not just head-to-head with NVIDIA. FPGAs to lookaside and infrasturcture - GPUs only do look-a-side. 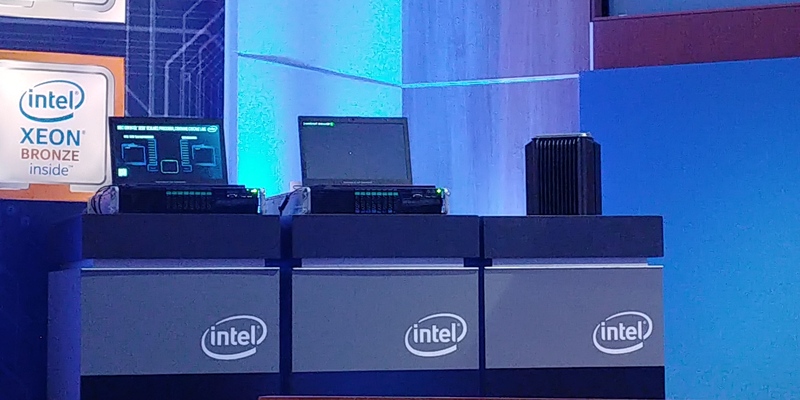 03:34PM EDT - So that looks like a wrap for the morning. 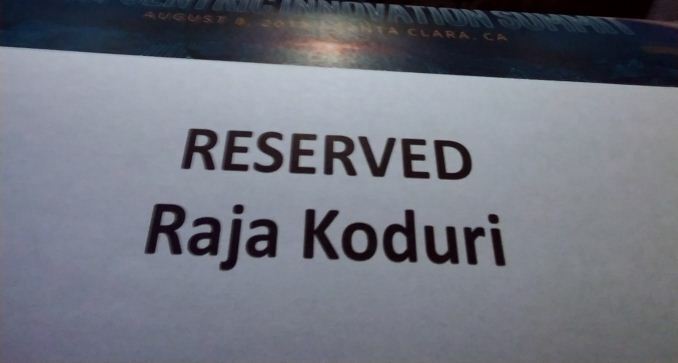 Hope you enjoyed it. 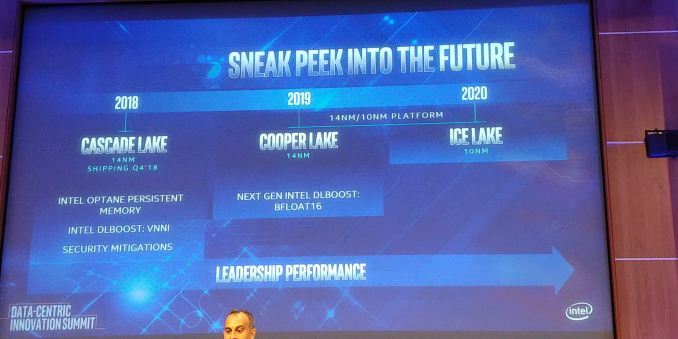 I need coffee now. There's nothing Epyc about this dog & pony show at all. Come on! 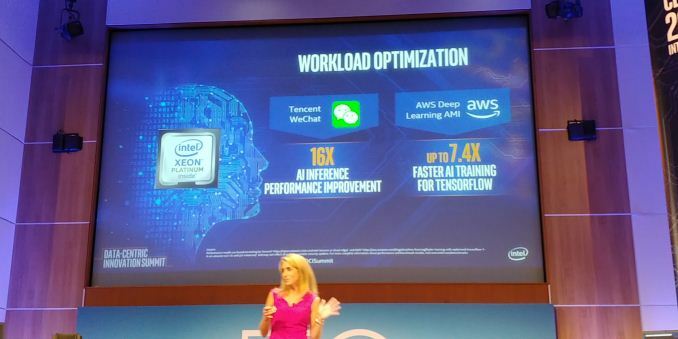 You absolutely need AVX-512-VNNI for your everyday uses! 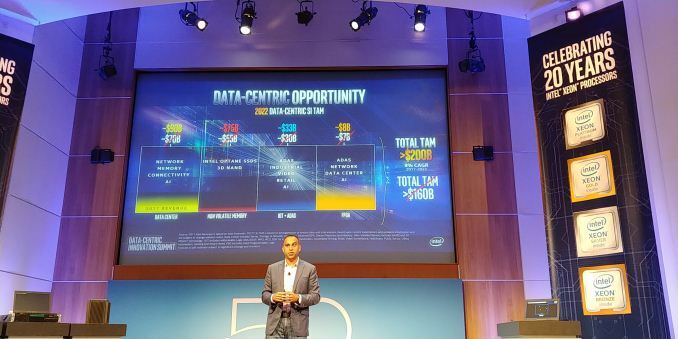 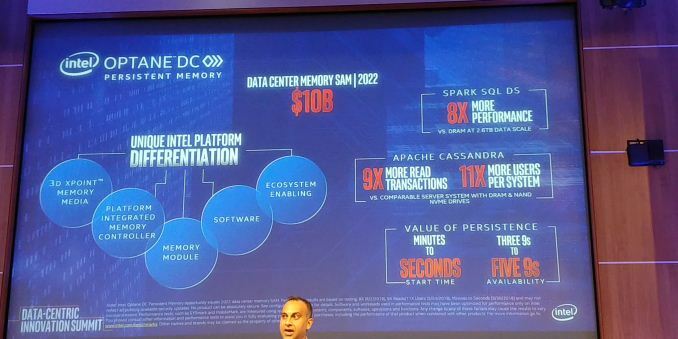 As Charlie pointed out in his article, Intel will try to dazzle with highly specific and targeted benchmark results today. Nobody needs "VNNI" because Artificial Intelligence is a dead-end market that nobody cares about.